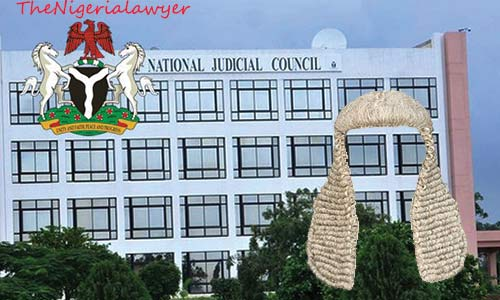 Zamfara State gubernatorial aspirants under the All Progressives Congress (APC) have petitioned the National Judicial Council (NJC), over alleged collection of money to influence judicial outcome. The aspirants who equally petitioned the Department Of State Services (DSS), National Intelligence Agency (NIA), alleged that the court of Appeal in Sokoto which is dealing with the case had become complicit and therefore prayed that it be relocated to Abuja or any other neutral ground. Speaking to journalists in Abuja on behalf of the aspirants, Hon Aminu Sani Jaji wondered why the court refused them the right to withdraw from their case when they sensed they would not be treated fairly in line with order 11 rule 1. Honourable Justice Ahmed Olanrewaju Belgore JCA; with Hon. Justice Amina Audi Wambai JCA and Justice Fredrick O. Oho JCA sat and directed all parties to file their written arguments and adjourned the matter to 19th February, 2019. “Strangely however, on Saturday a non-working day, 9th February, 2019, I was called and informed by my lawyers that they were called by the Registry of the Court of Appeal Sokoto Division, served with a motion on notice purportedly filed on February 8th, 2019 and required to attend court on Monday 11th February, 2019. The motion is to enforce the judgement of the High Court, when the appeal was not only still pending but already adjourned to the 19th February, 2019.